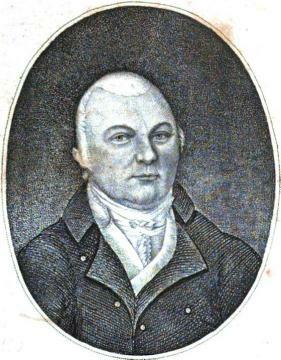 Amasa Delano is one of Duxbury’s most famous historical figures. Born in 1763 to Samuel Delano, Sr. and Abigail Drew, Amasa would spent most of his life as a master mariner, circumnavigating the globe three times. In 1817 Amasa Delano published the account of his voyages in A Narrative of Voyages and Travels in the Northern and Southern Hemispheres: Comprising Three Voyages Round the World; Together with a Voyage of Survey and Discovery in the Pacific Ocean and Oriental Islands. While a terrific read, this book is most famous for being the inspiration for Herman Melville’s “Benito Cereno.” The most recent scholarly work on this episode is Seeing Unseeing: The Historical Amasa Delano and his Voyages by Dr. Henry Hughes of Western Oregon University. We are fortunate at the Drew Archival Library to have the Amasa and Samuel Delano Collection that includes fascinating letters written by Amasa during his time in the South Seas. This entry was posted in Collections, News and tagged Amasa Delano, Benito Cereno, Herman Melville, Samuel Delano. Bookmark the permalink.